Edher Zamudio Vasquez sits in a sunny courtyard at UC Santa Cruz’s Merrill College, remembering his first years as an undocumented immigrant in the U.S. Arriving in San Francisco at 15, he says, he struggled to learn English and finally mastered the language by joining a swim team at a Boys & Girls Club. He watched his mother, once a successful businesswoman at Procter & Gamble in Peru, get up each morning to work a series of jobs, eventually becoming a house cleaner. He also learned the ways of the undocumented: how to avoid drawing the attention of police, how to get a job without the right papers, and even where to go to file your income tax so you still flew under the radar of immigration officials. Edher Zamudio Vasquez is pursuing a doctorate in UC Santa Cruz’s Ph.D. program in Latin American and Latino studies, the first of its kind in the U.S.
And yet, one of the things that continues to confound Zamudio Vasquez is the way America uses race as a way to identify and divide people, which was different from how he was raised in Peru. In his American high school, for example, students segregated themselves into distinct ethnic groups. Zamudio Vasquez also noticed that when he walked into a taqueria with a friend from Mexico, he would be addressed in English because his skin was light while his darker-skinned friend was greeted in Spanish. Because of this, Zamudio Vasquez said, he was simultaneously excluded because he did not look Latino and included when he spoke Spanish. It’s that question of racialization that drew Zamudio Vasquez to UC Santa Cruz, where he is pursuing a doctorate in the country’s first Ph.D. program in Latin American and Latino studies. He plans to write his dissertation comparing the experiences of Peruvian immigrants in Stockholm with those in San Francisco, and then go on to teaching. UC Santa Cruz’s Latin American and Latino Studies Department began its life in the 1970s as a Latin America studies program. But, as it is with UC Santa Cruz’s penchant for boundary crossing, discussions with faculty teaching Chicano studies courses soon created a bridge between the two fields. By 1994, the program was officially renamed Latin American and Latino studies, reflecting the growth of the Latino population in the U.S. and a need to understand the experience of Latinos in this country, including an examination of why people were migrating and why some stayed behind. In 2001, the program received departmental status, allowing students to look at issues like globalization, transnationalism, and the way immigrant groups re-created their cultures in the U.S. yet retained ties to their home communities. In 2014, the department took the next big step. It admitted its pioneer cohort of students to a Ph.D. program in Latin American and Latino studies, the first of its kind in the United States. Department Chair Zavella settles into her book-lined office, her phone ringing, her next appointment looming, and talks about the evolution of UC Santa Cruz’s Latin American and Latino Studies Department. This year, it will celebrate its 15-year anniversary, “its quinceañera,” she says. In many Latin American cultures, a quinceañera is a celebration of a girl’s 15th birthday and her transition from childhood to adulthood. “Organizing a doctoral program is an indication that, institutionally, you’ve come of age,” Zavella says. One can get a taste of the growing influence of Latinos on U.S. politics, economics, and culture simply by looking at a few numbers. 17 percent of all Americans currently identify as Hispanic or Latino, according to the U.S. Census Bureau. That makes Latinos the nation’s largest ethnic minority. Hispanic-run businesses contribute almost $500 billion in economic activity each year, according to a 2015 report from the Congressional Joint Economic Committee. Latinos are also 1.5 times more likely than the general population to become entrepreneurs. This year, analysts are warning that in order for the GOP to win the White House it will have to grab a whopping 42–47 percent of the Hispanic vote. It is this changing face of the U.S. that is making the study and understanding of the Latino experience even more relevant today. But, according to Zavella, the influence of Latinos on the U.S. is also shaped by what goes on in Latin America. From the effects of trade agreements to tourism development and political shifts, what happens in Latin America does not stay in Latin America—especially since Latinos continue to be one of the main sources of immigration growth in the U.S.
That cross-border effect is why, Zavella says, it’s imperative for UC Santa Cruz’s Latin American and Latino Studies Department to take a unique, transnational approach to its teaching and research. That transnational approach is also apparent in the greater UC system with a new UC–Mexico Initiative that provides an opportunity for faculty exchanges, research opportunities, and scholarly activity between the University of California and institutions in Mexico. Zavella’s own research for her latest book, I’m Neither Here Nor There: Mexicans’ Quotidian Struggles with Migration and Poverty, for instance, took her into immigrant communities along the Central Coast of California, where she found migrants coping with the displacement from their homeland, the changing roles in their families, and a loss of a sense of belonging. Her book tells stories of the Mexican woman she met who had a master’s degree in social work but was flipping burgers at McDonald’s, of female immigrants who struggled to balance their traditional role of raising children with the need to work outside the home, and of those women who felt the tug of their homeland but also the draw of greater freedoms in the U.S.
Research like this is what drives the Latin American and Latino studies faculty who are examining topics from transnational feminism to the history of assimilation and pro-immigrant organizations. It also fuels study by the program’s first graduate students who are investigating queer migration and phenomena like Latino sororities and fraternities, which rose out of Latinos’ entrance into higher education. On May 6, an international conference titled “Rethinking Migration,” will be held at UC Santa Cruz. It is being led by the Chicano Latino Research Center and several faculty from the Latin American and Latino Studies Department. It wasn’t until she was older that Candy Martinez, 27, began paying attention to her indigenous roots. Born in Southern California to Mexican-immigrant parents who worked jobs in the food service industry and in public schools, she attended Amherst College in Massachusetts. There, she took a class on Chicano film and became interested in how Latina and indigenous women were portrayed in the media. Her burgeoning curiosity about her Zapotec roots then led her to UC Santa Cruz, where she is now doing research on how filmmakers tell stories about the collective trauma of indigenous people. “I’m interested in how filmmakers work with communities to make sure they get their stories told,” Martinez says. A doctorate will allow her to teach at a university or community college and expose students to the same topics that awakened her interests and which are often ignored at more traditional campuses, she says. “Considering the importance of Latin America and Latinos in the U.S. and their influence and engagement with the country, being able to create thought leaders is absolutely essential to the welfare of our state and country,” says Pablo Reguerin, executive director for Retention Services and Educational Opportunity Programs at UC Santa Cruz. “Ph.D. programs cultivate the people who will write and create knowledge in that area,” he says. When UC Santa Cruz opened its doors in 1965, there were few Latinos among its first 652 students. Today, Latinos make up nearly 31 percent of undergrads on campus, with the result that, in 2012, UC Santa Cruz became a Hispanic Serving Institution, or HSI. A university earns the designation, and the opportunity to join the Hispanic Association of Colleges and Universities, when 25 percent or more of its enrollment is made up of Hispanics/Latinos. Federal HSI designation followed for UC Santa Cruz in 2015 and brought $3.6 million in grants. The funds are being used to increase graduation rates for Latino students, which currently fall below those for white students (71 percent compared to 79 percent). Among the new initiatives are shifts in the way a required math class will be taught, help with writing, parental outreach, and a collaboration with San Jose City College. “It’s not that they graduate at a lower rate because they’re Latinos,” says Pablo Reguerin, executive director for Retention Services and Educational Opportunity Programs at UC Santa Cruz. The resulting preparation gap, combined with institutional expectations on UC campuses, can cause students to falter. A UC Santa Cruz task force spent months coming up with a four-pronged plan to increase success for these students, including changing the format of the campus’s Math 2 algebra class from a large lecture format to an active learning experience. Writing seminars for incoming students and regional family workshops that will help develop strong support for students at home and engage parents in the university are also planned. 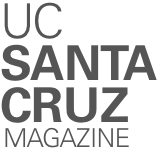 In addition, UC Santa Cruz will work with San Jose City College using a combination of tutoring, mentoring, teaching research skills, and advising in order to help students complete their bachelor degrees on time. “Given the changing demographics in California and considering our goals around diversity and excellence, we can’t have institutional success without Latino success,” Reguerin says.